Home » Outdoor Cart Reviews » 5 Best Wheelbarrow 2019 Reviews – How to Buy the Best One! If you are a gardener then summer and spring are very busy months for you. You have to move around and look after your plants to make sure they are growing properly. For gardening or landscaping works you need to have a tool kit handy so that your job becomes easier. A wheelbarrow is one of the most useful gardening equipment available that can make your work easier. The best wheelbarrow will be sturdy and durable. Here are the important features you should consider. Wheelbarrow looks like a very simple tool, but it has many uses. You can move things using it from here and there. It is very useful in carrying brooms, rakes, compost and other large quantities of materials around the garden. You can also move dirt from one place to another. This equipment makes it safe to move heavy things around the garden without causing any injury. It comes in various sizes and designs. There are 1 wheel wheelbarrow, 2 wheel wheelbarrow, electric wheelbarrow, and much more. You should learn about the advantages of each type of wheelbarrow before deciding which one to buy. Besides, you must look carefully at the wheelbarrow parts and make sure that they are strong and of very high quality. A best wheelbarrow will make your gardening tasks very convenient. It will also save you a lot of time carrying things around. Here we will look at the best wheelbarrow 2019 and help you select the right one for your gardening needs. In the past wheelbarrows didn’t have so much variation in terms of design. At present, manufacturers are coming up with new designs and features for the convenience of the gardeners. They are constantly doing research to make this equipment better and more useful as well. Here are the reviews of the best wheelbarrow you will find this year. If you are looking for a multi-functional & best wheelbarrow, then this is a great choice. You can easily convert into a dolly and do other tasks with it. So, the wheelbarrow is very strong with all-steel construction. It will last you a long time. The Aerocart wheelbarrow is designed in such a way that 200-lb load will feel like just 17 lbs. So, you will find it very easy to carry around your garden. It is spacious and can take up to 300 lb weight. The extension arms are also useful and can take loads up to 80 lbs. As this wheelbarrow has two wheels, it can be difficult to move around tighter corners in the garden. There is a chance that it might tip over. The height of the wheelbarrow is not much, so tall people might find it difficult to use. It’s long foldable arms can carry pots and rocks too. Steel body making it very strong. Oversized, so you can carry lots of things at a time. Tires are strong and flat-free. Foldable extension arms that can be used to carry mulch bags, flower pots, etc. Lots of attachments and accessories so it can be used as not only wheelbarrow but as other things like a hand truck, potted plant mover, bag holder, cylinder holder, etc. It is heavy enough to move heavy items like rocks and bricks. It has the 2-wheel design that makes it more balanced and easy to move. There is bag attachment that helps you pick up dirts and leaves. As it has two wheels, managing heavy loads become easy. It is versatile gardening equipment and can do multiple tasks. 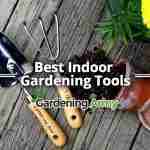 You can use it to do various kinds of gardening jobs without using any other tool. It has a fold out dolly that can be used to transport heavy items like soil, compost, firewood, etc. The bag attached to the wheelbarrow can be used to collect dirt and clean up the garden while you are doing other tasks. The Worx Aerocart is a very impressive gardening equipment. Its great lifting power makes it easy to use and the foldable feature of the extension arms allow it to be used in confined places as well. So, without any doubt you can pick this one for your gardening needs. This is a perfect wheelbarrow for a small garden and we consider this one is one of the best wheelbarrow in 2019 list. It has a strong construction and needs low maintenance. In addition, It can carry lots of loads. You don’t need much lifting effort to move this wheelbarrow around your garden. It can be used by people of all ages. With this wheelbarrow, you won’t have to worry about carrying loads around your garden. The design is meant to give the gardener comfort while using it. This wheelbarrow is very well designed. It is very useful for your home, garden and you can use it for simple construction works as well. 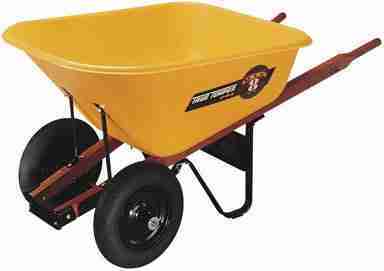 If you are looking for something simple and easy to use then you should buy this wheelbarrow. It is lightweight and one of the best two-wheelbarrows available today. Its ergonomic design makes it easy to lift and carry by users of any age. It has great balancing and maneuvering capacity. It can take load up to 300 pounds. 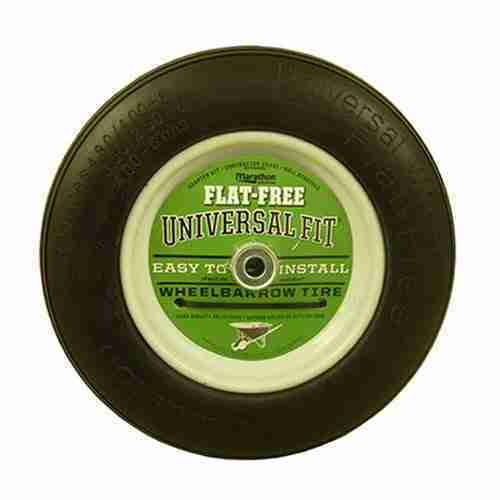 The tires are flat-free making it easy to move around. It has a loop handle, so you can hang it on the walls of your garage without wasting any floor space. It’s lightweight and not much lifting power is needed to push it. It can carry lots of things including logs, top soils, debris, rocks, etc. Wheels are well designed and flat-free. They are easily inflatable as well. The wheelbarrow is well balanced so there is less risk of tipping over. It is corrosion free which makes it durable. If you want to carry heavy loads always then this wheelbarrow may not be the ideal choice for you. It doesn’t have enough capacity to move around items that are too heavy. The color of the wheelbarrow may deteriorate with extensive use. 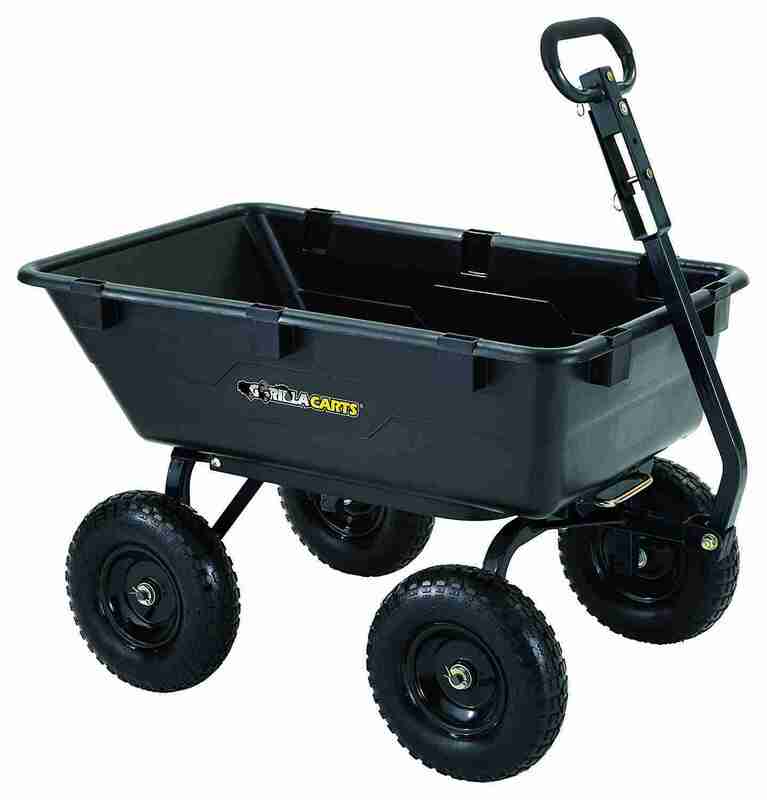 It is an outstanding electric wheelbarrow with 24-V battery operated drive system. It can take up to 200 lbs of load. It’s two wheels make it easy to turn and move around the garden. The controls are easy and anyone can use it with ease. As the wheelbarrow is battery operated, it makes maneuvering much easier. You don’t need to push hard to move it around. It’s easy to push button control lets you move the wheelbarrow forward or backward with ease. You will be able to carry sand, sod, rocks, etc. on level ground and also on a 150 incline. 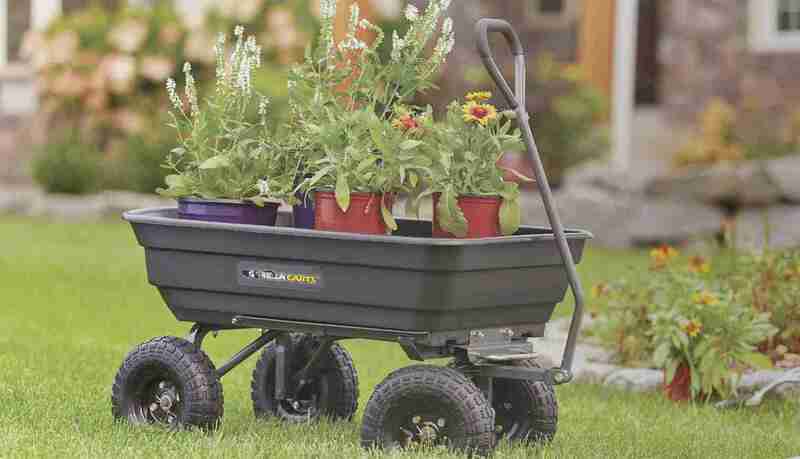 This battery operated wheelbarrow makes hauling easy for gardeners. It can efficiently transport heavy loads. It makes it convenient for the gardeners to work around the garden. It has 24-V battery operated drive system that makes it easy to move around. This wheelbarrow has an easy push button to move forward and backward. Total capacity to carry about 200 lbs of load. The various forward speed gear allows you to move to places. It is constructed with steel frame and it has 13 in. tires that are able to carry heavy loads. 24 Volt Power Assist operates on 12V batteries. 6 cubic feet poly tub available. Very easy to assemble the components. It can easily handle the toughest jobs as it’s well constructed. The 12V battery has the capability to operate the whole day without recharging. There is a front dump brace that makes unloading very easy. You can take it around harsh terrains without causing the tires to go flat. There is no indicator saying whether the wheelbarrow is in the forward or backward mode. So, the user has to be cautious. The tires are not suitable to work in damp areas. So, you should always make sure that the place is dry to make the wheelbarrow last longer. Gorilla Carts have an innovative design that can make a wonderful addition to your garden. It is quick to assemble and has lots of interesting features to make your gardening tasks convenient. It has 4 wheels that make it more balanced and improves its maneuvering capability. This cart is ideal for both homeowner and commercial users. Its design is unique with 4 wheels and sturdy body. It can reduce fatigue and save time when you haul mulch, gravel or dirt. The wide 13-inch tire can move through any harsh terrain without causing any damage to the tires. It has 1200 lb hauling capacity that lets you carry heavy items easily. Its front pull handle allows easy movement. The tray is easy to cleanup and it’s quick release dumping system makes it easy to get rid of dirt and other things that you have collected from your garden. You need to give extra effort to pull the latch lever to lock it back to the original place. Spring tension would have made the work easier. The weight of the cart can be a problem for some people as it is not as lightweight as the other wheelbarrows. Gorilla Carts GOR6PS has the capacity to hold up to 1200 lb, so is ideal for carrying heavy loads. The framework is very strong and so it is durable. Its poly bed doesn’t need any maintenance and can be cleaned easily. The tires are strong and well designed to move in any terrain. You can move past gravel, mulch or heavy dirt with ease. A convertible 2-in-1 handle that makes you pull the cart using your hands or allows you to tow it at the back of a lawn tractor. It has a height of 26.2 inches and weight of 60 pounds making it comfortable to be used by anyone. GOR6PS has a unique dumping feature that makes unloading very easy. You will get a 1-year warranty with the product. Gorilla Carts GOR6PS cart has a huge capacity to move around heavy items. The tires can do the awesome job in moving around difficult areas. It is ideal for extensive gardening works. The AMES True Temper 8 Cubic Foot Wheelbarrow is a heavy duty wheelbarrow which is able to carry heavy loads around your garden or construction places. It has corrosion proof poly and steel front tray brace that makes it durable. A wheelbarrow is needed regularly for gardening and construction works. It can easily carry materials from one place to another. This wheelbarrow has all the features to meet the requirements of a gardener or construction worker. The best thing about this wheelbarrow is that it has heavy duty construction. So, it can carry heavy loads without causing any damage. These are the best wheelbarrows you will find on the market today. They have the strong construction and amazing features to make your gardening or construction work comfortable. So, you will make the right decision by purchasing one of these high-quality wheelbarrows. Very well constructed and designed to last for a long time. It is lightweight, so you will need less effort to move it around. Rust proof poly tray, so you can use it for a long time and transport various kinds of materials. This wheelbarrow has hardwood handles allows easy grip. It is ideal for carrying stones, cement, dirt, and other materials. Ames True Temper has pneumatic tires for easy movement and H brace at the back for extra support. 8 cu ft has a 2-wheel wheelbarrow that has tray braces at the front. It’s hardwood handles make it very comfortable to push. This wheelbarrow is lightweight and so anyone can move it around without too much effort. Ames True Temper is rust proof so you can carry any materials without causing any damage to the body. It has huge capacity; so you can carry loads of materials at a time. It has huge capacity; so you can carry loads of materials at a time. Gardens and construction sites can have different terrains. While this wheelbarrow works fine on flat surfaces, it can be difficult to move it up hilly yards because of its height. The wheelbarrow was first invented in China and it had been in use for many years. The function of the wheelbarrow still remains the same — it’s used to transport stuff and dispose of them. But over the years the construction of wheelbarrows got better and better making it more convenient for people to use it. 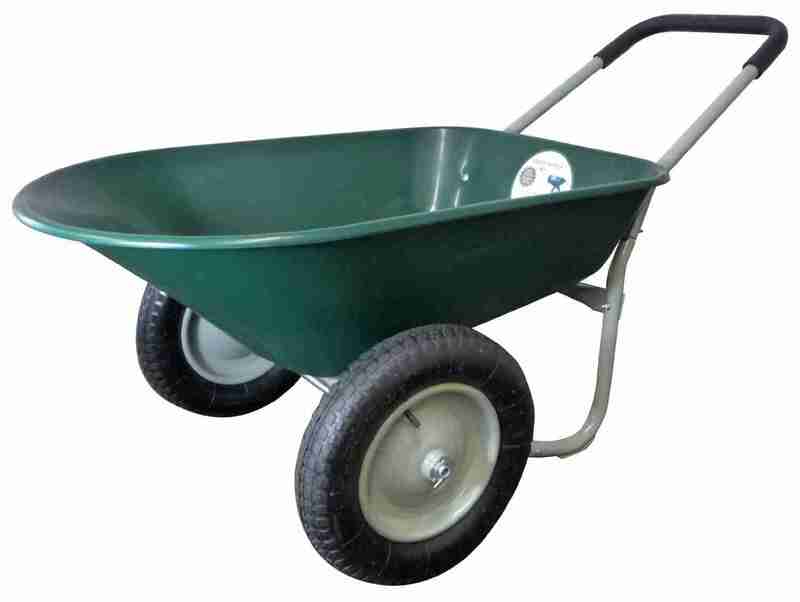 You can buy a wheelbarrow for your gardening or construction works. When buying a wheelbarrow, you should know the features well so that you can purchase the right one. Capacity Wins: You should realize what kind of weight you are going to carry on the wheelbarrow; that is, whether you are going to carry bricks, cement or something heavier. Depending on what you will carry you will have to choose your wheelbarrow. There are various capacities of wheelbarrows available in the market. You should buy one that is suitable for carrying your desired loads. Size Matters: The size of the cart matters for it to be useful. You should think about the space where you will be using it. If it’s a narrow gateway then you should buy something that is not bulky. If you have a large working area, then you can choose a bigger one. Construction: The trays of the wheelbarrows can be made of metal or plastic. Metal trays are strong; however, they may rust. You may need to paint the trays again over time. On the other hand, Plastic trays are waterproof and light in weight. These trays are more resistant to things like an animal waste. If you want to load toxic items, then plastic tray is better. Tires are Everything: Tires can be pneumatic or solid. Pneumatic tires can move on rough terrain but they may puncture. Some of the modern pneumatic tires are puncture-proof. On the other hand, solid tires won’t puncture, but you won’t be able to move it as smoothly as pneumatic tires on rough terrains. A number of wheels: You can buy either single or dual-wheel wheelbarrow. It is easier to move single wheel barrow. However, if you want more stability, you should buy twin wheel barrow. You should carefully consider these features before buying your wheelbarrow. You must compare the products of different manufacturers and buy the one that best matches your purpose and budget. The wheelbarrow is a very useful equipment for gardening. It’s used in construction works as well. It carries heavy items from one place to another. It is also used to dispose of materials like dirt, leaves, etc. from the garden. Best quality wheelbarrows have very rigid construction so that it can carry the load. In the modern wheelbarrows have many features and components, but the handle, wheel and the tray of the wheelbarrow are the common parts. When you plan to buy a wheelbarrow you must make sure that these three parts are of high quality. You will find two wheelbarrow handles to push it along the pavement or garden. 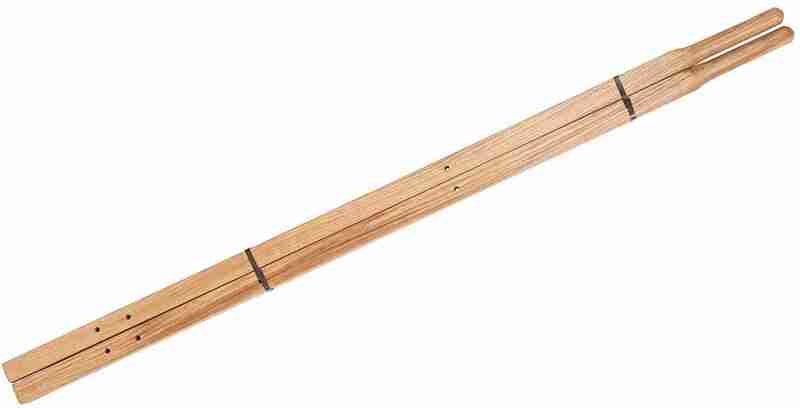 The handles elements are usually metal or wood and the lengths of these handles vary from 36 inches to 60 inches. Besides, the length the handle is dependent on the size of the wheelbarrow tray. For better handling, these handles are covered with plastic, vinyl or even fiberglass. Good handles will help you to push the wheelbarrow easily without much effort. The wheelbarrow tray is where you carry the stuffs, whether it’s gravel, dirt, rocks, cement or anything else. Those trays element are wood, steel, or plastic. Size of the tray varies from 4 cubic feet to 12 cubic feet. You can replace the trays, so you won’t need to buy a new wheelbarrow even if your tray turns into a bad shape. Some manufacturers make sure that the trays are corrosive-free. There are various kinds of wheelbarrows available in the market. So, you will find wheelbarrows with one-wheel, two-wheels or even four-wheels. The wheels are air-filled and flat-free which gives better stability. Besides, good quality wheels can handle heavier loads. Different manufacturers make tires of different sizes. It depends on the size of the entire wheelbarrow so that a good balance can be achieved. It helps in comfortable movement along any difficult terrains. These are the essential parts of a wheelbarrow and these must be well constructed to achieve great results. If the handle, tray, and wheel of the wheelbarrow are of high quality then your wheelbarrow will last for a long time. 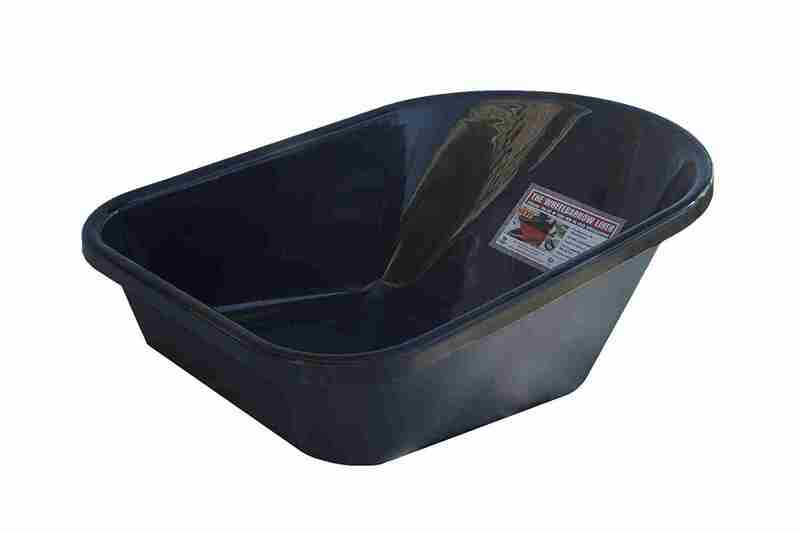 A wheelbarrow is essential for gardeners, construction workers and other people who need to move heavy items. It is also a user equipment and has made works easier for people. If there was no wheelbarrow then people would have to carry the loads on hands and they may have caused injuries. In fact, Wheelbarrow looks very simple but it has lots of functionalities. If you buy one of these it will last you a long time and will give you great service. Moreover, when you purchase wheelbarrow make sure you read the reviews and see the ratings. It is always wise to buy from a reputed manufacturer. In last, Wheelbarrows is something you will be using regularly. So, you should never compromise with its quality even if you have to exceed your budget a bit. Finally, If you like this 5 best wheelbarrow reviews post, then share this post with your crazy gardener friends. 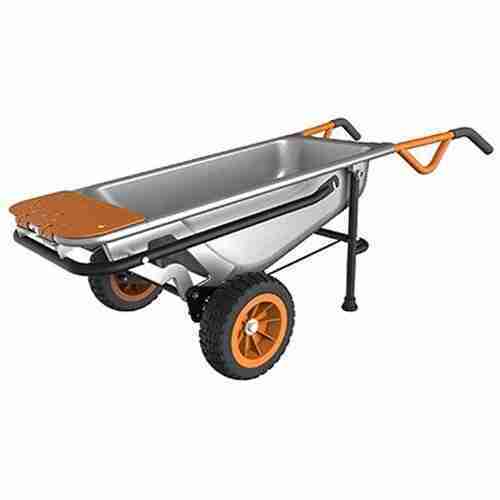 I actualy happen to agree when you mention that WORX Aerocart Wheelbarrow is the best wheelbarrow in 2018. I am one of those people who assumed you could only use a wheelbarrow while in the garden or maybe during construction . It turns out that you can also use this specific one to move house equipment as it can handle heavy appliances like dishwashers refrigerators and furniture as well. Talking from experience and the efficient review from this website ,I highly recommend this to any gardeners out there. Yes, you are absolutely right WORX Aerocart Wheelbarrow is the best wheelbarrow in 2018. Thanks for your recommendations.